We were founded in 1977 based on the idea that if we treat our customers fairly and honestly and offer the best value for the money, we will grow and prosper. We were the answer to the age old question: "Where is there a place I can trust to take my car or truck to get it fixed?" This has proven to be a true recipe for success. 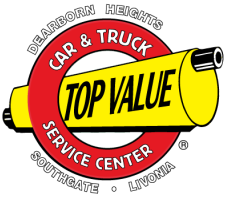 There are currently 8 Top Value locations throughout Michigan and Ohio offering thousands of customers "The best auto repair Value money can buy."